Kuwait Petroleum International (KPI) says it has signed a partnership agreement with Oman Oil Company (OOC) for the development of a major refinery and petrochemical complex in the Duqm Special Economic Zone (SEZ) in Al Wusta Governorate of Oman. Duqm Refinery and Petrochemical Complex will be the biggest joint investment project in the SEZ, says a statement from KPI, the international subsidiary of Kuwait Petroleum Corporation (KPC). The OOC is the sultanate’s investment arm in the field of energy and related sectors. 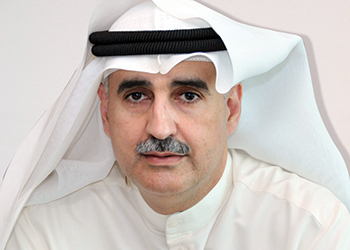 Kuwait News Agency (Kuna) quoted KPC’s chief executive Nizar Al Adsani as saying that the project offers a distinct incentive and a model example for oil investment in the Gulf region. The refinery will develop Duqm into one of the major centres of oil investment on the regional and the world’s scenes, stated Al Adsani. On his part, Oman’s Minister of Oil and Gas Mohammed bin Hamad Al Rumhi, who is also OOC chairman, said that the agreement embodies the distinct Kuwaiti-Omani bilateral ties, opening up fresh prospects for further cooperation to serve mutual interests. This strategic partnership seeks to develop one of the promising vital projects in the SEZ, he added. The agreement would play an effective role for achieving the sultanate’s oil strategy, turning the SEZ into one of the world’s major economic centres.In 2009, government-owned OOC and Abu Dhabi state International Petroleum Investment Co (Ipic) agreed to look into the feasibility of building an oil refinery at Duqm. After completing the study, Ipic and OOC formed a joint venture, Duqm Refinery and Petrochemical Industries. However, KPC’s partnership with OOC in Duqm indicates that Ipic has dropped out of the project. Both Ipic and OOC officials did not respond to emailed questions regarding the project. "All are very committed to making Duqm a success," says Duqm Refinery Project Director Jacobus Nieuwenhuijze. "The site preparation work was completed successfully and tendering is on the way. I can however not comment on this shareholders issue," he added. Although sparsely populated and located midway between Salalah and Muscat in central eastern Oman on the Arabian Sea, Duqm has been designated as the sultanate’s next industrial centre, with investments of up to $15 billion targeted in both petrochemical plants and infrastructure over the next decade. Kuwait’s international downstream investments have so far focused on major consumer markets in Asia, thus raising questions over the rationale behind the Oman investment. "Oman does not meet the criteria for high growth, high consumption," says Kamel Al Harami, an independent Kuwait-based oil analyst.